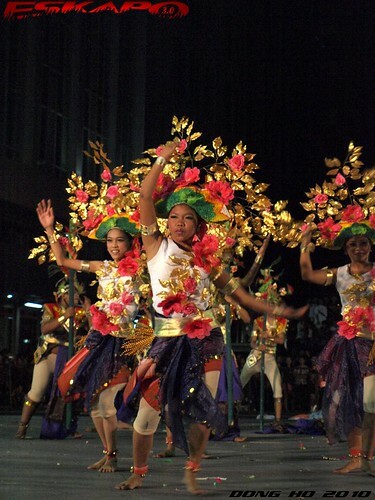 one of Makati city's grandest festival today is the Caracol Festival. 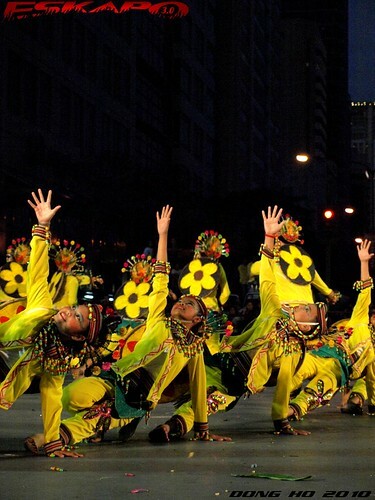 happening at the country's financial district along its main road Ayala avenue every third of January. this is my second time to attend this competition of dances and smiles coming from the students of the different schools around Makati. joining me this time is my travel buddy and friend Kit. 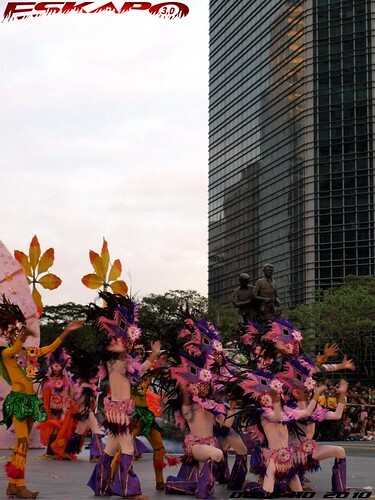 it's one of the few events of Makati where a large part of Ayala avenue is closed to give way to the parade and the grand performance which happens at the intersection of Ayala avenue and Paseo de Roxas. 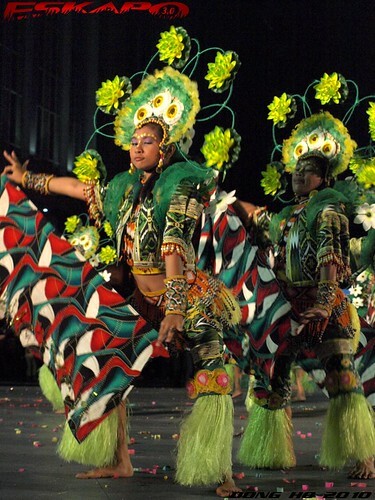 unlike most of the festivals in the country, Caracol festival focuses more on the preservation and awareness of the importance of our environment. 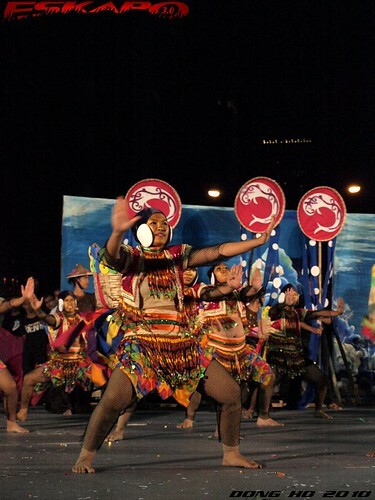 making the performances mainly based on the need to protect our planet's resources. the dance music comes from a mix of songs depending on the setting and pacing of their presentation. 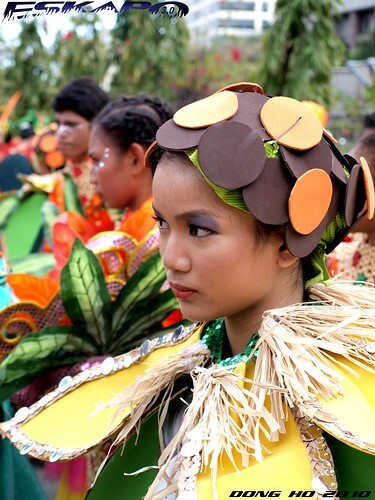 it has no specific beat required, thus the school has the freedom to interpret on their belief in protecting the environment. 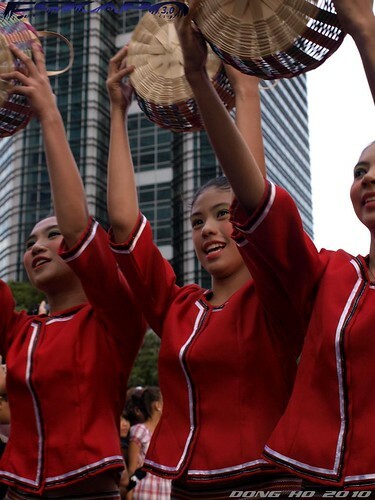 it starts with a parade from Makati Avenue to Ayala avenue, where you witness so less of their performance. so it's best to take a shot while they're preparing for the parade and find the best spot near the stage. it starts around mid afternoon and ends by night with the announcement of the winners based on the categories. 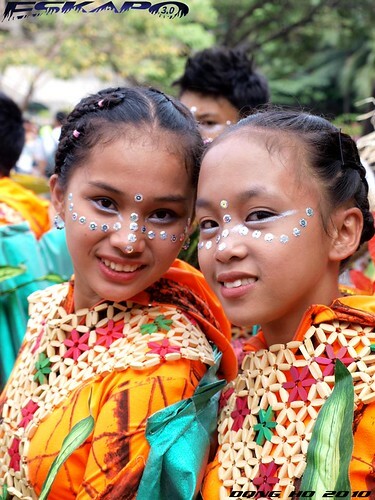 with less promotion of this festival, majority of the audience comes from Makati and the many photographers capturing the colors and the smile of the participants. What fantastic costumes! 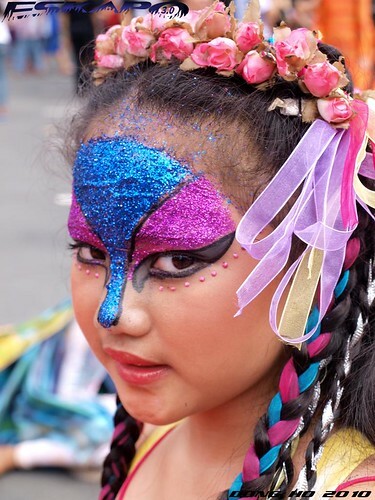 I can only imagine the time and effort the kids (or their moms, haha) spent practicing, creating those costumes and even putting on the face paint! Ang ganda! 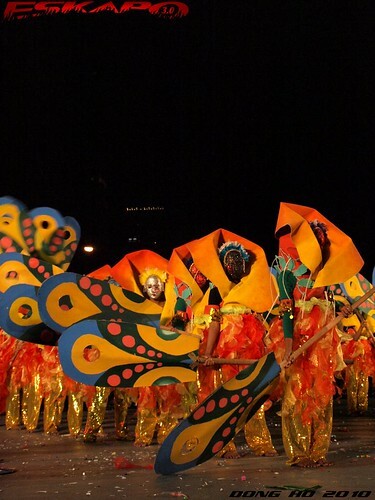 colorful and glittery costumes! this is your 2nd year of covering the event ryt? hope to see it next year. ganyan ba talaga kayo sa makati? lol ang ganda. Hala! 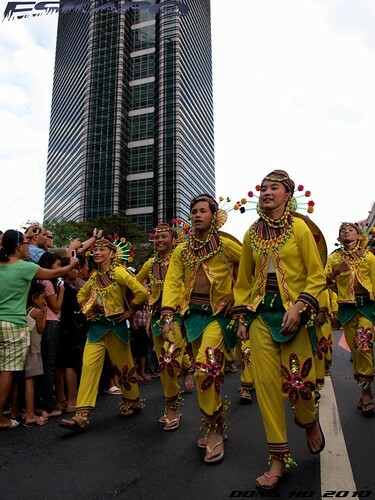 it's nice to know may festival din pala sa makati... ngayon ko lang nalaman may festival din pala sila.... hmmm... interesting! amazing, sana nakita ko din yan ng live. Really wonderful images, very beautiful portraits! 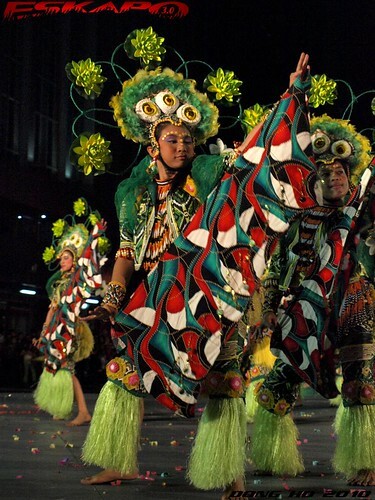 The costumes are so colorful and interesting! I enjoyed a lot the whole post! wow, so colorful. kelan nag start yang festival na yan. at san nanggaling ang name na caracol? I think this is the first time that I heard about this festival. Tama ka, kulang nga sa promotion. Sayang! So amazing. I capture the ordinary; you capture the extraordinary. Thank you for this powerful post. 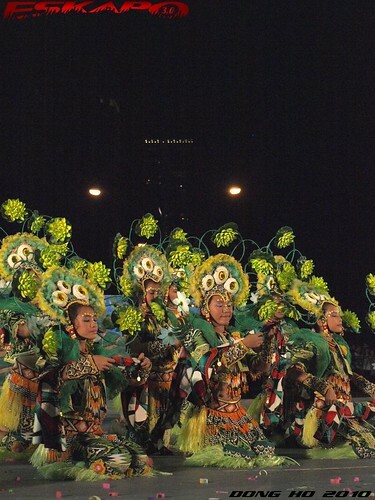 I enjoyed this festival years ago! Glad to see it is still as colorful as ever ! 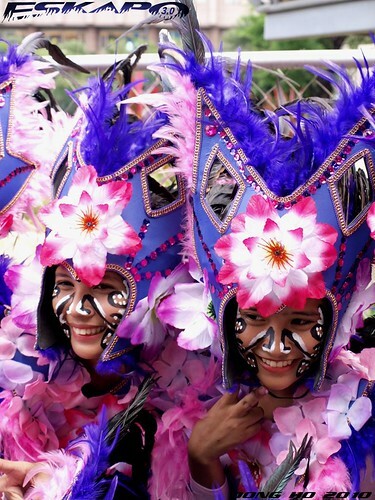 Nice costumes.... Summer na summer! Makulay! May ganyan palang festival ang Makati... At least ngayon, alam ko na! 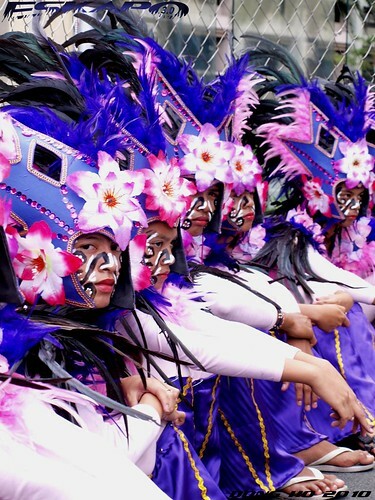 I'm amazed by their elaborate costumes. Galing! the first picture is a great capture.. the color and the smiles! 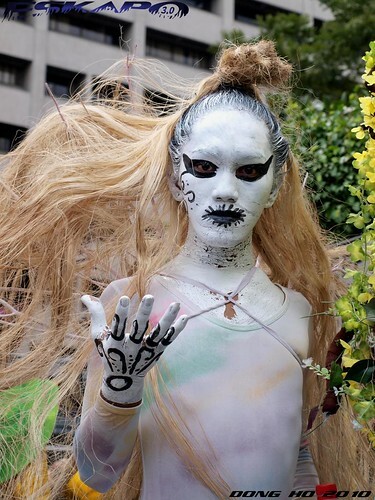 i didn't know makati has a festival until now..
Looks like fun! Sayang, wasn't able to come this year. Guess I have to wait till next year to experience this.